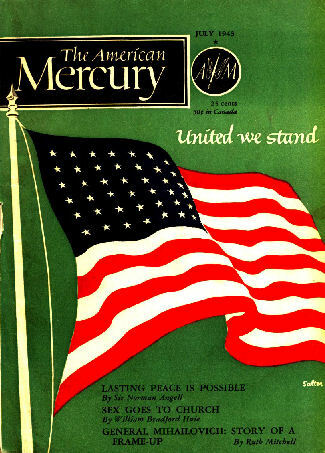 In the July 1943 edition of "The American Mercury" magazine, Pinski delivers a striking yet poignant message about the Holocaust that had befallen so many in Europe, at a time when it was said that the United States had no knowledge of what was happening to the Jews of Europe. We lament the two million Jews who have perished at the hand of the murderer, the two million who were brutally torn out of our life. The two million men and women, old and young, children, infants at their mother's breast and babes yet unborn. The thousands upon thousands who perished by water and fire, by whip and bayonet, by hunger and thirst and the living grave, by slow torture and sudden death. We lament the thousands who gasped their last agonized breath in close-packed trains filled with fumes of chloride of lime, the thousands who were suffocated by the deadly gases of the sulphur mines into which they were forced and the lethal death chambers into which they were herded. The thousands who were burned to death in crematoriums reserved for the dead, the thousands who died a slow agonizing death from air bubbles injected into their veins. We lament the hundreds of sick children who were slain in their hospital beds, together with their nurses and teachers. We lament the two million Jews who perished amid all the agonies of our martyrs of ages past and amid new ones invented by Hitler's fiends. We lament ourselves, who live here in security and hide ourselves in towers of ivory, who seek daily our pleasures and diversions and lie snugly at night in our beds. Ourselves, who passed by the death of these two million, and on the day of mourning forgot to mourn, and let that day be as all other days. Ourselves who forget the three million still in the talons of our arch fiend, and close our ears to their cries of agony. Ourselves, bickering, disunited, without leadership or plan, without strength or will, when three million more souls are to be wiped out. Ourselves who were not aroused by this Jewish tragedy and are doing nothing to arouse the world. Ourselves, who do not even know our shame. "Lamentations" was translated from the Yiddish by Anna K. Pinski.